Thank you for visiting this blog. 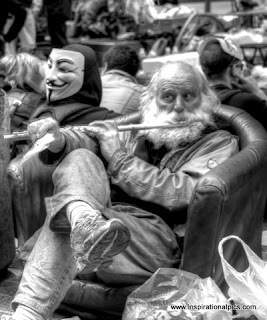 These one of a kind digital photos feature beautiful photographs and HDR images from Zuccotti Park, in Lower Manhattan NYC. At the time of this blog posting, one can turn on the television set on any given day, or read in the newspaper about the daily developments occuring at Zuccotti Park, formerly named Liberty Plaza or Liberty Park. Since September 17th of this year the half acre plus park has transformed in to a daily operations center, protest camp and living quarters for many of the protesters referred as a collective group with the theme "Occupy Wall Street". More recent and public concerns have been focused on the sanitary conditions of the park. 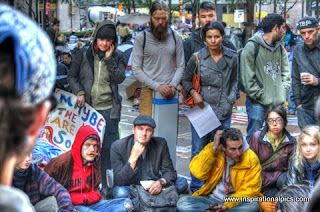 Zuccotti Park normally is inspected and cleaned every week night but the grounds have not been cleaned since Sept 16th. 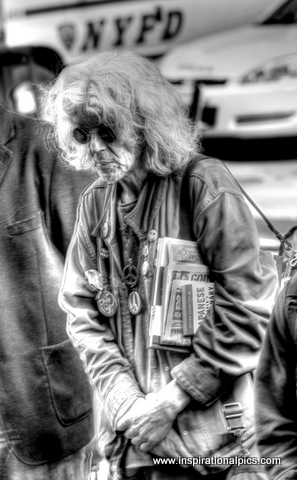 The images below were taken October 6th and represent some of the individuals who were present at Zuccotti Park this morning. 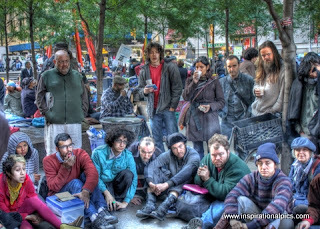 Occupy Wall Street Zuccotti Park HDR- The above and below images were taken on Oct 6th 2011. 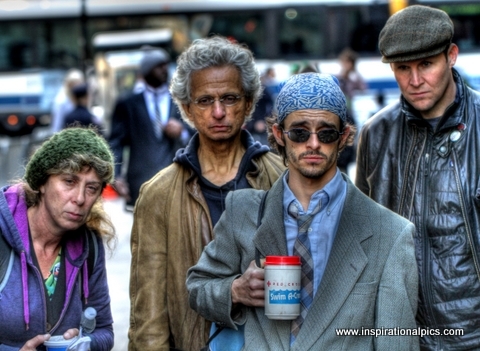 The photographs capture the expressions and intensity on the faces of a collective group of people at Zuccotti Park on this morning. Thank you for visiting this blog. 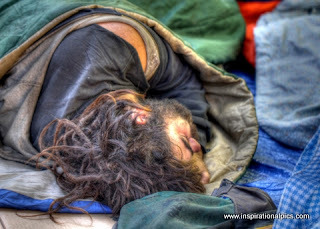 These one of a kind digital photos featuring beautiful photographs and HDR images from Yosemite National Park are also found at http://www.inspirationalpics.com/. Below are some beautiful images from NYC and California and are more examples of the HDR processed photographs that were mentioned in previous blog posts which give these images the extra "pop" and tones and colors. 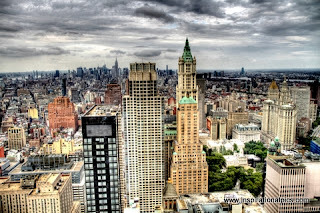 I will start with the NYC photographs. 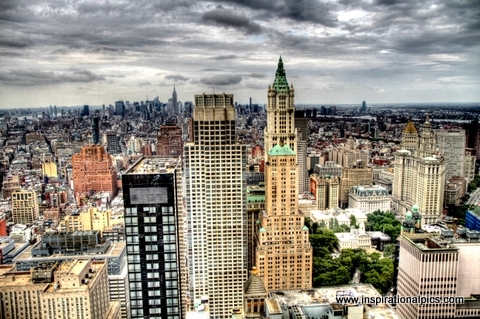 View of NYC HDR- This image was taken up from the 50th floor of the OLP Tower in NYC and captures the architecture and buildings and beauty of NYC. To the right and not in the picture would be the Brooklyn Bridge to put things in perspective and if you were to look (again not in the picture) to the left another 40% you would be able to see the Statue of Liberty on a clear day. 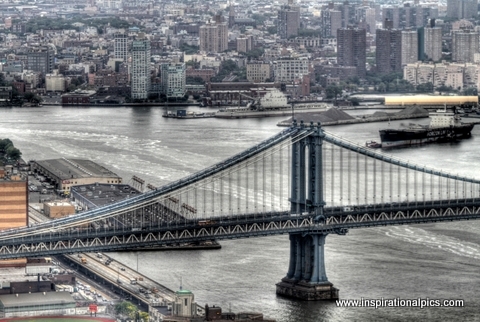 The Brooklyn Bridge HDR, built in 1883 is a beautiful bridge. It connects and spans from Manhattan over to Brooklyn is one of the world's longest suspension bridges at nearly one thousand six hundred feet long. This bridge is one of my favorite to photograph. I also took this photograph from the 50th floor looking down. Times Square NYC HDR- This image captures the vibrant colors, the beauty, and action. This photograph represents a tyical scene on a busy week day in Times Square a paradise for shopping, restaurants, photographers, and people watching.. Every New Year's Eve Times Square thousands gather at the site for the the annual ball drop to celebrate the New Year together. 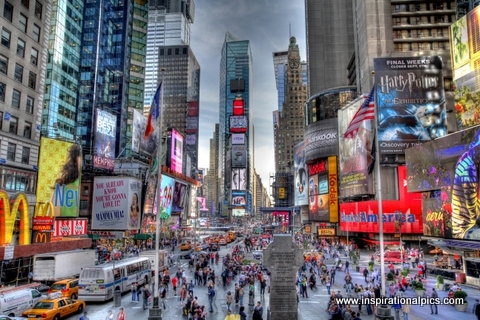 The Theatre District is an extension of the Times Square and one can spend days site seeing. Musician NYC HDR- People of NYC- On any given day in NYC you can stroll the streets and find people. Lots of people, all types including this image of a man playing a flute, sitting in a comfortable chair while protesters gather near One Liberty Plaza to demonstrate against the Gov't and Wall Street and voice their opinions. The momentum seems to carry forward as hundreds of arrests are starting to take place, more recently over 700 who were arrested on or near the Brooklyn Bridge. 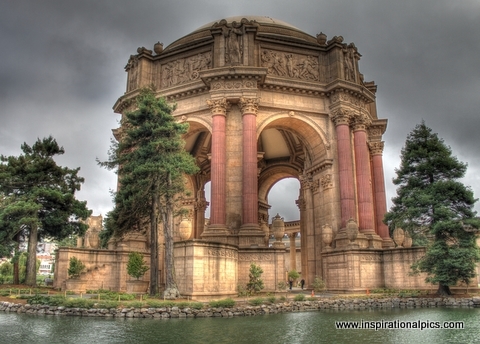 San Francisco Exploratorium HDR - This photo captures the beauty of the Exploratorium, one of the most popular of icons of San Francisco. This museum mixes both the art and sciences together with over 400 exhibits for locals and tourists to see. The water surrounding the structure is complete with birds, geese, ducks and a sanctuary for wildlife and nature. San Francisco Street Scene HDR- The streets of San Francisco, unlike NYC, do not have a subway system. So navigating San Francisco can be a frustrating experience where parking is hard to find if you are driving, expensive, and getting from one district to the other can be challenging and time consuming. However, the city is beautiful and there are plenty of site to see. This particular photograph is simple. I like the tall palm trees and the colors, and the scene when I took this. Often you will see small restaurant settings like this (maybe not with palm trees lining the sidewalks) depending on which area of the city you are in. Couple Embracing - San Francisco Golden Gate Bridge- Ok. 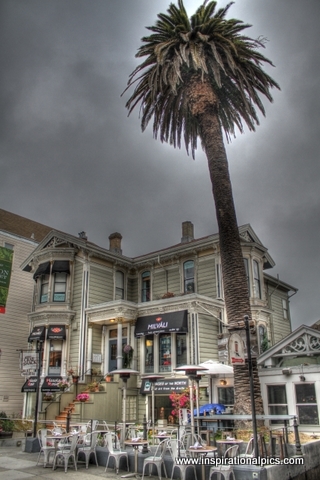 So this is not an HDR processed photograph, but it happens to be one of my very favorites. This is a candid and intimate moment of an unknown couple with the beautiful bridge in the background and the sun is about to set. The rolling fog often obscures much of the bridge but makes for spectacular photographs. Depending on the moons position, the fog, and the sun and even the ships and sailboats out in the water really adds to the imagery one can see.